December 14, 2016 at 12:15 PM: A moving van reportedly forced another vehicle off Hwy 49 near O'Connell Lane just outside San Andreas. CHP is en route to the scene. No injuries are indicated, but be cautious if headed in that direction. Called the living will test, Wells Fargo was notified yesterday that it failed to meet standards for surviving and not affecting the economy upon its failure, during a regular test. Wells Fargo administrators seemed upset. But there are also questions about the new Wells Fargo commercial of a stagecoach traveling in the snow. One museum manager says they NEVER traveled in snow? So is the commercial a phony, a fraud??? What gives, Wells Fargo??? 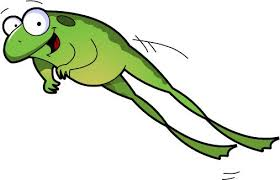 I'm leaping to a fresh golf course!! The City of Angels Camp just made a press release available that at their Special Meeting last night, December 13, 2016 they would replace the City Administrator with Mary Kelly, who is currently the elected City Clerk. The City Administrator reportedly is taking a new job elsewhere, but it doesn't say where he is going. They are so sorry to lose him. another season, since he won again! 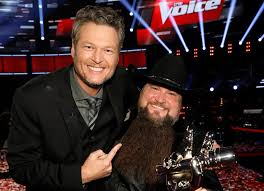 Sundance Head, one of Blake Shelton's picks, won the VOICE last night, beating out Billy Gilman, who was coached by Adam Levine. Gilman came in 2nd. Public transit in Calaveras County has lost ridership and Deborah Mullin, who represents the transit in the county, was very hesitant while speaking to the Supervisors during her report. Several runs are being cut that had been added, including one in Rancho Calaveras. The route to Stockton has also not being used much. Watch for traffic control on Hwy 4 in Ebbetts Pass as Caltrans continues to try and cut down the dead beetle trees along the highway. Traffic delays will take place. It is a major project with large trucks on one side of the highway and cutting equipment and men on both sides. Drive carefully!! On December 13, 2016 at approximately 10:45 PM Calaveras County Sheriff's Office arrested Angel Collazo (21) of Valley Springs at the 76 Gas Station. Collazo was booked into the Calaveras County Jail for alleged Burglary, a felony. December 14, 2016 at 7:30 AM: An overturned vehicle has been reported on Tuolumne Road near Cherry Valley Boulevard in Tuolumne. On December 12, 2016 Calaveras Sherff's deputies arrested Tara Jean Gamblin (25) with no known address in Arnold, at the Ace Hardware on Blagen Road. Gamblin was booked into the Calaveras County Jail for alleged Disorderly Conduct/Under the Influence of drugs, a misdemeanor and for an outstanding local warrant with three charges. 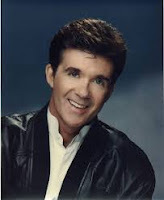 Alan Thicke was playing ice hockey with his 19 year old son yesterday when he suffered a heart attack and died. Thicke was only 69 years old. He had been the father on the hit TV show Growing Pains. Singer Robin Thicke, is also his son.